It's arrived safely and I am right back to normal because it's a lot of a clunker! As well as the two missing frets, the neck is loose, (hence the missing 12th fret), there are 3 fairly poorly fixed cracks on the back and the nut has been replaced with a small piece of metal!! On the plus side though I'm told the neck, (which was what I was most worried about), can be easily reset, the trickiest part being unsticking the pearloid tongue that goes onto the body. The cracks may not be that pretty but they are solid and I can get a new nut made. 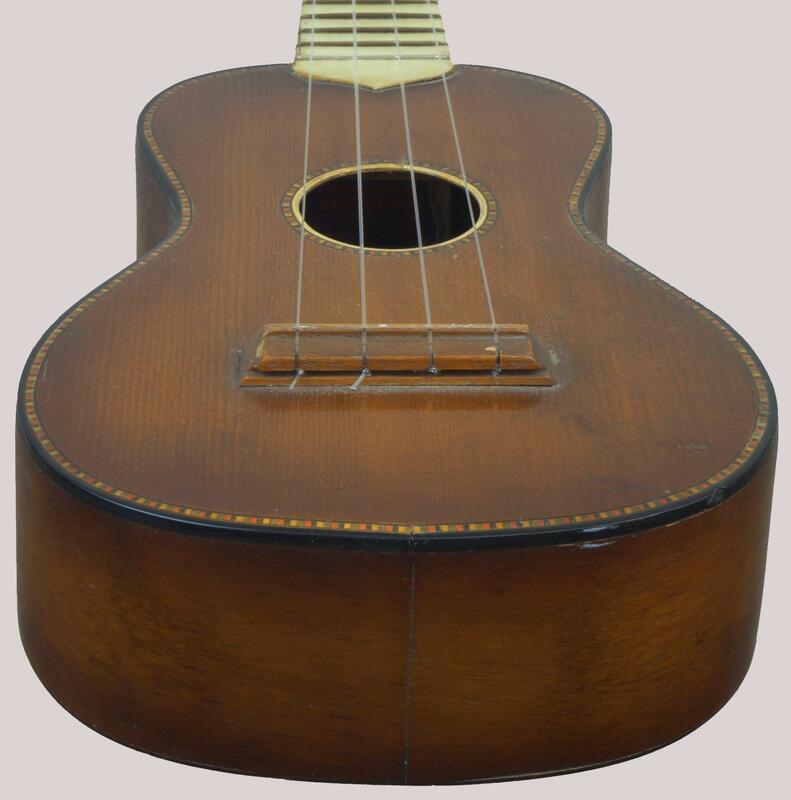 The black logo is nice and clear and there is a good inner soundhole label too which all add to the overall look of the Ukulele as a nice early vintage Regal.